Unseen Meghan Markle Prince Harry engagement photo has emerged. 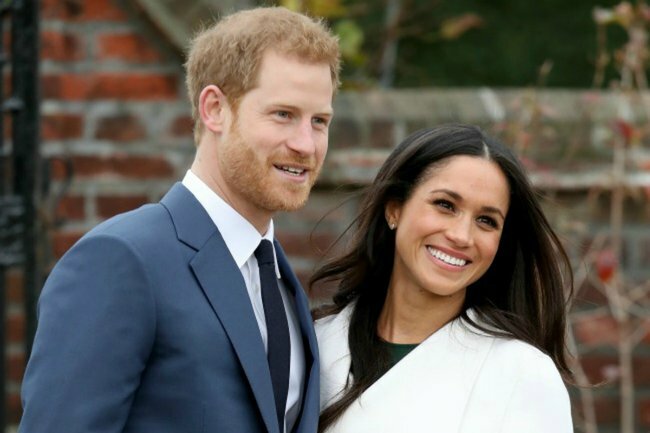 FEAST YOUR EYES: An unseen engagement portrait of Meghan Markle and Prince Harry has emerged. And in December last year, in a very fancy room in the United Kingdom, a portrait was taken. It was one of many portraits taken of Meghan Markle and Prince Harry during their engagement, but this one was different. 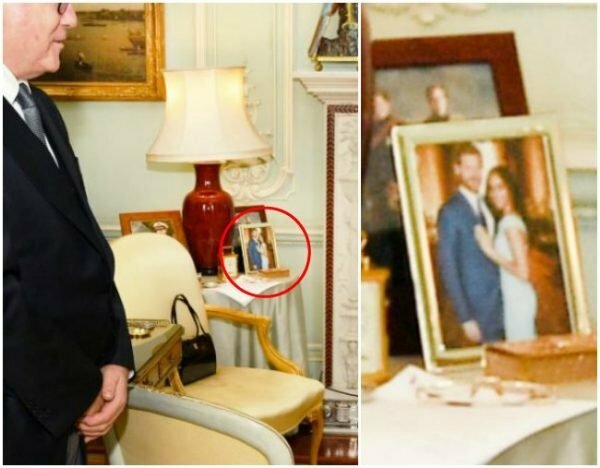 In a photo of the Queen released earlier this year, when she met Australia’s High Commissioner George Brandis at her very stately Buckingham Palace, keen royal fans spotted a portrait in the background. Now you see it. Image: Getty. It was of Prince Harry, in a navy suit, and Meghan Markle, in a light blue dress. It was minuscule. But now, thanks to a photoshop genius on the internet, we can observe a life-sized version of the portrait. In the photo, the now Duchess of Sussex is wearing the Cromford Top and Arreton Skirt in light blue, by designer Rolan Mouret. Her engagement ring is front and centre. Prince Harry looks completely smitten. Because of course he does.